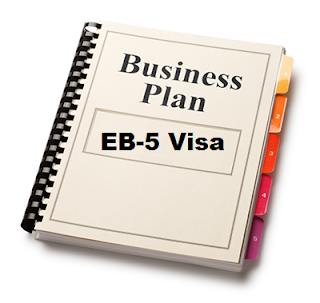 If you are looking for a professional business plan writer to develop a business plan for the EB-5 Immigrant Investor Program then look no further. Nicholas Coriano has developed hundreds of business plans for visa applications and can develop a professionally written business plan for the EB-5 Immigrant Investor Program. Call 203.685.0346 (leave a message or text to schedule a time to talk) or email by clicking here. The EB-5 Immigrant Investor Program was developed by the United States Citizenship and Immigration Services office in 1990 to stimulate the US economy. More specifically it was developed by Congress to be implemented by the United States Citizenship and Immigration Services office to help spur jobs. There are specific regions in the United States where centers have been created that implement EB-5 Visa programs. In general all EB-5 investors must invest in a new commercial enterprise. A commercial enterprise means any business that has activity for-profit from the ongoing conduct of lawful business. This can include creating a new commercial enterprise in the form of a sole proprietorship, partnership, holding company, joint venture, corporation, business trust or other entity which may be publicly or privately owned. This may include subsidiaries of a holding company which are wholly owned. This does not include investments in personal enterprises such as buying a house for personal use. In addition to creating the qualifying jobs; capital must be invested into the new commercial enterprise. In general the minimum qualifying investment that someone seeking to apply for an EB-5 Visa needs to invest is $1,000,000 within the United States. In areas defined as Target Employment Areas by the United States Citizenship and Immigration Services office the minimum requirement to invest in a commercial enterprise is less. In these areas of high unemployment or rural areas an investor seeking to obtain a Visa through the EB-5 Visa classification invest a minimum of $500,000. not like any other visa business plan and it is certainly not like a business plan for venture capital. The business plan must show that the investor already has the money to invest and how the money will be allocated. Attachments and the appendices should include bank account statements showing the transfer of the money to a United States bank account and progress in the business before the application is filed. If you are looking for a business plan writer to develop an eb5 investor program visa business plan then you are at the right place! Nicholas Coriano has developed business plans for the eb-5 investor program and can help you or your client develop a business plan for your visa application. Contact today by texting or calling 203-685-0346 (leave a message or text to schedule a time) or by email: click here.